Safety, precision, quality, and efficiency are essential to your industrial process. 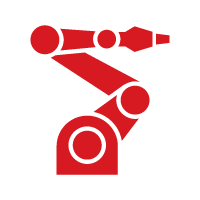 We integrate with major robotics providers and offer custom end-of- arm tooling and programming that are specific to your operational requirements. Take control over your key processes by automating operations or verification steps. We build, program, and install a custom machine and system designed to increase throughput, reduce costs, and give you a competitive edge. We can help bring your product idea to reality. Let us take your unique concept through our proven design and prototype process. We can handle production runs and help you optimize a scalable manufacturing strategy. In-house capabilities include CNC machining & milling, welding, fabrication, gantry mill, lathe, and water jet & plasma cutting. Fully-equipped to build components for design projects, we are ready to fulfill your custom part or product order. To get in touch with Fitz-Thors call (888) 470-1652, visit this page, or simply complete a short form by clicking the button below. You need complete control over the operational processes unique to your business. Ramping up for growth or improving older systems offer great cost savings opportunities with the right solution in place. We solve industrial challenges with intensive analysis, broad engineering expertise, and a high-precision design-build approach focused on your bottom line. Our customers will receive superior service in evaluating their existing equipment and processes while providing the lowest-cost, highest-quality service with the optimum use of technology for your budget. We rise to the challenge to meet your needs when an off-the- shelf solution simply is not available.